Back in April, Disney announced that a slew of some of the company’s oldies but goodies would be finding their way onto Blu-ray in the following months. Now that fall is almost upon us, those releases are coming out at a rapid pace, with Sylvestor Stallone’s Judge Dredd and Tim Burton’s classic Ed Wood being the newest frontrunners. 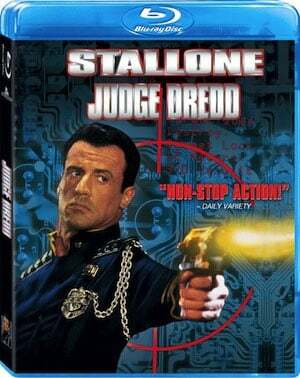 Walt Disney Home Entertainment will release Judge Dredd onto Blu-ray for the first time ever on September 18. The timing for the release is probably not a coincidence. With the Dredd 3D reboot in the works, the Blu-ray should entice fans of the 1995 film as well as anyone interested in Pete Travis’ reboot (If you haven’t seen the trailer for this, you should do so right now). You can check out the cover art, below. 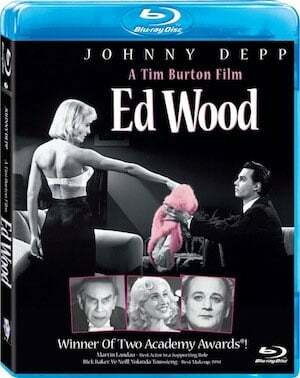 The release of Tim Burton’s black-and-white film, Ed Wood, will also hit Blu-ray on September 18. The film follows Johnny Depp as the cult director in Burton's biopic. While Ed Wood isn’t getting a theatrical reboot, like Judge Dredd, the release should still prove to be good press for Burton, whose new movie, Frankenweenie, will be released in theater just two days later on September 20. There’s no word on what or even whether featurettes will accompany the disc, but either way, buyers will be basically paying for the High Definition picture with the new sets, which are only running at $20 bucks a pop and are already going for a pre-order sale price over at Amazon.